An Adjustable Rate Mortgage (ARM) is also known as a “variable-rate mortgage” and a “floating-rate mortgage”. It is a mortgage loan in which the interest rate paid on the outstanding balance varies according to a specific benchmark. The initial interest rate is typically fixed for a period of time, after which it periodically adjusts. The interest rate paid by the borrower is then based on the prescribed benchmark plus an additional spread that is called an ARM margin. Payments for an Adjustable Rate Mortgage (ARM) are initially lower than a fixed rate in most cases. But if interest rates go up, the monthly payment on an ARM can rise above what it would have been if the borrower would have originally gotten a fixed-rate mortgage. Adjustable Rate Mortgages transfer part of the interest rate risk from the lender to the borrower. 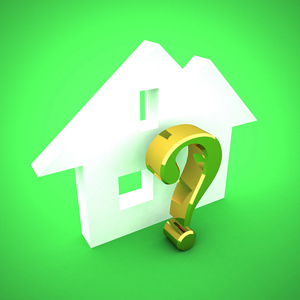 Therefore, the initial rate of the mortgage is usually lower than a fixed-rate mortgage. But since ARMs adjust with interest rates after the initial period of the mortgage, the monthly payment can climb higher than what would have been paid if the borrow had originally gotten a fixed-rate mortgage. Generally speaking, ARM borrowers benefit if interest rates fall, but lose if interest rates increase.